Former Minister of Education and current Presidential aide, Andrei Fursenko, has been appointed to replace Deputy Prime Minister Vladislav Surkov as supervisor. The Skolkovo Foundation has named Andrei Fursenko as its new supervisor, said RIA Novosti citing the foundation's President, Viktor Vekselberg. Fursenko is scheduled to assume his new responsibilities as early as May 17th at the meeting of the Council for Economic Modernization and Innovative Development. Citing an unofficial source, Izvestia writes that the meeting will appoint a new board of trustees, most likely dropping Vladislav Surkov. Surkov was responsible for state policy on innovative activities and was in charge of the technopark. “If appointed, Fursenko will most likely supervise Rusnano as well as Skolkovo. He’s not new to the innovation industry,” another source told RIA Novosti. Vice President of the Center for Political Technologies, Aleksei Makarkin, says Fursenko is Vladimir Putin’s protégé, and his appointment indicates that the President is willing to take, via his aide, the reins of the Skolkovo Foundation. “Putin and Fursenko go back a long way, and it was Putin who got Fursenko appointed as minister. Furthermore, Fursenko is now aide to the President on science and education, and has prior experience promoting innovation. President of the St. Petersburg Politics Foundation, Mikhail Vinogradov, believes that Fursenko’s appointment as supervisor of the Skolkovo Foundation weakens the influence of the government in general, and Prime Minister Dmitry Medvedev in particular, on the technopark. 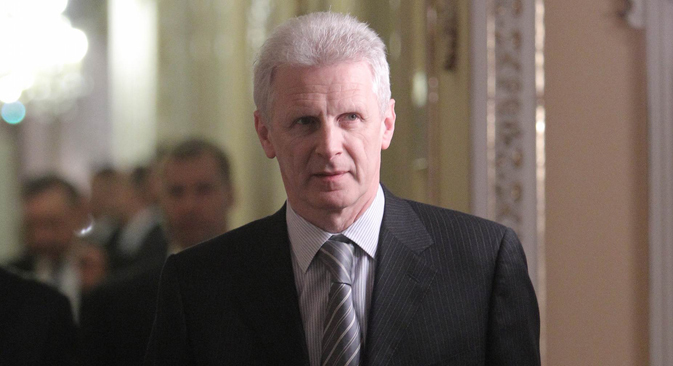 Prior to his appointment as Minister of Education, Andrei Fursenko served as Minister of Industry, Science and Technologies, and he was also Chairman of the Rusnano Supervisory Board. He has published more than 100 scientific essays on topics such as technological innovation, and financing research and technology. During his term as Minister of Education, Fursenko gained a reputation as a passionate supporter and ideologue of the Unified State Exam implemented in Russian schools. The Unified State Exam was widely criticized by the scientific and professional communities, and its implementation has since revealed a lower level of knowledge among school graduates compared to the traditional final exams formerly used in the Russian system of secondary education. As a background note, in early May 2013 a disagreement broke out between former Deputy Prime Minister Vladislav Surkov and Investigative Committee representative Vladimir Markin. During his speech at the London School of Economics at the beginning of May, Surkov accused Russia’s Investigative Committee of jumping to conclusions on the Skolkovo corruption case. In response, Markin wrote an opinion piece for Izvestia in which he called on effective top managers, to try and ensure that the entities they are in charge of did not offer fertile ground for embezzlement and theft, rather than place the blame on investigative authorities. The ex-minister let Markin’s fairly harsh attack pass unheeded stating he was “reluctant to comment on graphomania.” Surkov handed in his resignation on May 8th, reportedly in connection with the cabinet’s failure to carry out the President’s decrees issued in May. Based on materials by Ria Novosti, Izvestia, Kommersant.